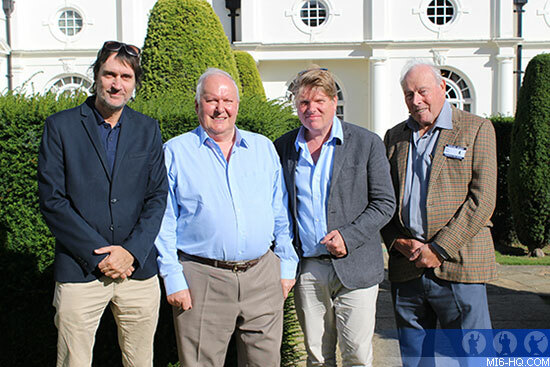 On Sunday 25th September 2016 colleagues and friends joined nine-time James Bond production designer, Peter Lamont, at Pinewood Studios to celebrate the release of his book THE MAN WITH THE GOLDEN EYE. This lavishly illustrated tome is a treasure trove of drawings, photographs and anecdotes from all 18 Bond movies bearing Lamont’s credit. Above: Peter Lamont and Chris Corbould. Photo Copyright Matthew Field. 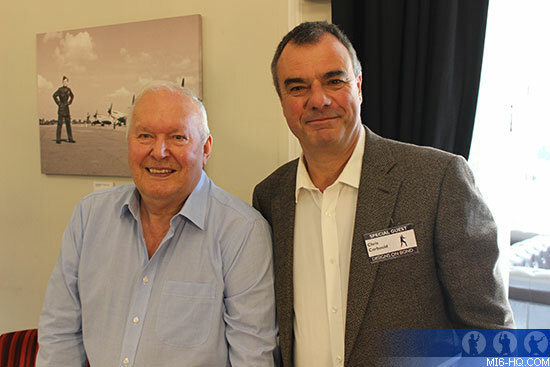 Former colleagues Chris Corbould (Special effects), Vic Armstrong (Second unit director) and Alan Tompkins (Art director) took to the stage to discuss their memories of working with Lamont on the James Bond series with author Gareth Owen. Above: Peter Lamont with Neal Purvis, Robert Wade, and JOhn Glen. Photo Copyright Matthew Field. Above: Peter lamont and Bond girls through the decades. Photo copyright Matthew Field. 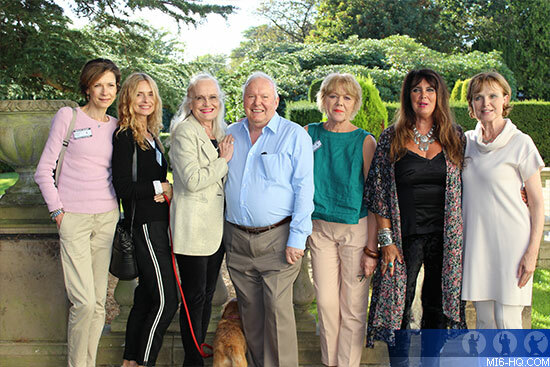 Other Bond alumni in attendance were Leslie Bricusse (Lyricist) John Grover (Editor), Terry Madden (Assistant director) and Terry Bamber (Production manager).